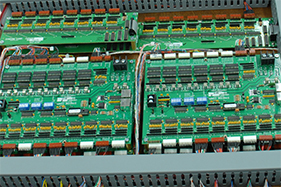 Our legacy combination action systems include the CS2464 Modular CA Board and the CS5608 Single Board CA. Our legacy keying systems are split between the LS5600K for smaller instruments and the LS2400K for larger instruments. 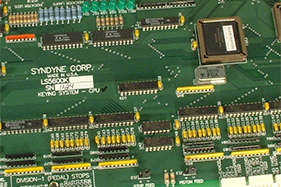 Syndyne provides connectivity to clients all over the world. 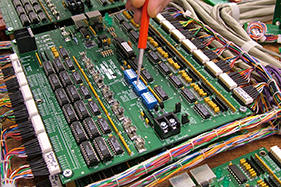 Our cabling and harnessing solutions help simplify the installation process. 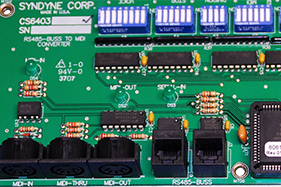 Our MIDI components fill a variety of needs in the industry, from controlling sound modules to adding MIDI keying on stand alone instruments.